How Do I Know If My Loved One Is Addicted? How Should I Talk to the Heroin User in My Life? If you have a child, parent, spouse, or other family member or friend who is addicted to heroin, you may wonder what you can do to help them. You may feel isolated, helpless, and powerless. But it’s better to confront the problem than let it continue. You can start by having a conversation with them. If that doesn’t work, you can try an intervention. Set boundaries and don’t enable their behavior. Once the person leaves rehab, they will need help adjusting to life without drugs. Family members dealing with addiction also need to take care of themselves. Get enough sleep, eat well, do activities you enjoy, and attend support groups. There are a few different ways that can help you detect whether or not your loved one may be using heroin. 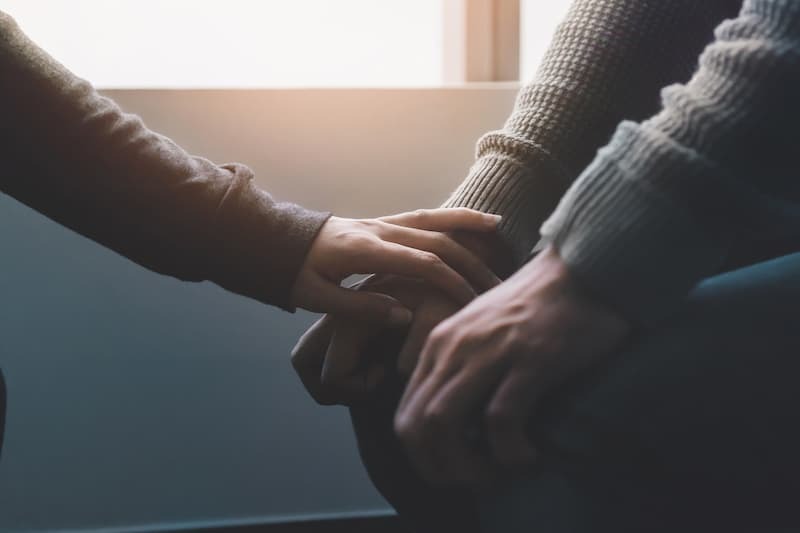 Addiction refers to the compulsive use of heroin or other drugs despite negative consequences.1 Signs of heroin addiction can include problems with relationships, work, finances, emotional regulation, physical health/appearance, and behavior. Persistently tiny or constricted pupils. Euphoria followed by apathy and depression. Neglect of work, school or home responsibilities. Less participation in previously enjoyed social or recreational activities. Engaging in crime and experiencing legal problems. Unexplainable financial problems, including constantly borrowing money. Spending time with a new group of friends. The cessation of once pleasurable activities to make more time for drug use. A change in personality, including an increase in irritability and anxiety. People who are addicted to heroin are often dependent on the drug, which means they experience withdrawal symptoms when they stop using it or cut down on their use. If your loved one is using heroin, they may also show withdrawal signs such as depression, runny nose, sweating, muscle aches, fever, vomiting, and insomnia.3 Learn more about the top 10 heroin withdrawal symptoms below. Finally, one’s method of heroin use can also indicate signs of possible addiction. Perforation of the nasal septum. If your loved one presents with any number of these signs or symptoms, they may be suffering from an addiction to heroin. Why Can’t My Loved One Stop Using? Before you speak to your family member, it may be a good idea to identify some treatment programs. If the person wants to get help, you need to be able to act as quickly as possible to get them into treatment. Learn about the different types of programs and what you can expect from them. There are a variety of treatment programs available that can be tailored to fit your loved one’s specific needs. For example, for teenagers, treatment programs may target age-specific challenges such as body image, bullying, peer pressure, and self-esteem. They also recognize the important role school plays in your child’s life and may allow them to do schoolwork while in treatment. Try to talk to them when they’re already trying to kick the habit. This means that they have already acknowledged that there’s a problem and have the desire to Often, this one simple acknowledgement is half the battle. Communicate in a gentle, nonjudgmental, and empathetic way. Be kind and show genuine concern and care for them. Chances are, they will respond more positively. Consistently remind yourself of the person’s positive qualities. This will help you to keep things in perspective when trying to get your loved one help. If you receive a positive response, you may suggest counseling or rehabilitation. If the interaction goes well, your loved one or friend may open up more to discussions about therapy or other recovery options. CRAFT encourages family members to stop making excuses for your loved one who uses heroin. Avoid lying for him or her about intoxication or behaviors. Don’t talk down to them or degrade them. Heroin users tend to feel a lot of shame associated with their drug use. When approaching them, the last thing you want to do is judge them. It’s not productive and will further perpetuate the shame and guilt they feel. Avoid a heart-to-heart talk when the user is under the influence or sick. They will not be able to carry on a coherent conversation and may not remember what was said. It’s better to wait until a sober moment that allows for openness to discussion. Avoid negative or angry confrontation. This will often cause the user to become combative and defensive, rather than receptive. They may leave the house rather than listen to you. Avoid blaming the person for their heroin addiction. Instead, approach the problem from a collaborative and encouraging angle, which will empower both you and your loved one. If the person denies that there’s a problem, see if they’d be willing to talk again. The person may not be aware of the problem, and this may be the first time they’ve thought about it. They may need time to process the conversation. Defining the boundary—figure out which issue you want to deal with, what you want to achieve, and what the consequences will be if the boundary is broken. Putting the boundary in place—have an effective dialogue with the user, ask for what you want, and make a clear agreement. Keeping the boundary—notice if the boundary is kept, acknowledge when it’s broken, and respond when it is broken. Bailing the person out of jail. Calling in sick for them. Letting them live with you while they are still using drugs or alcohol. Allowing them to use your car to get drugs or alcohol. No matter what route you choose, keep yourself and your other loved ones safe. Call the police if the situation starts to escalate and you fear for your safety or the safety of others. If your loved one refuses to get help, you may need to cut off communication and other forms of support. It is important to remember that this decision is one that supports your loved one’s health and recovery and is done after other efforts to help them have failed. Don’t be afraid to reach out for help. Living with someone addicted to heroin can put stress on your life and can be extremely trying. You can’t help your loved one if you don’t focus on your own self-care as well. It’s critical for your mental health and for your loved one’s recovery. Engaging in positive activities such as hanging out with friends, cooking, journaling, and making time for at least one positive activity each day. Tending to your physical health by eating well, drinking plenty of water, getting enough sleep, avoiding alcohol and drugs, and exercising. Seeing a therapist, which allows you to safely talk about how addiction has affected you and your family. You don’t necessarily have to do all of these things. Just pick the ones that you’re comfortable with. It doesn’t matter how often you do something, just that you make time for it. Doing something you enjoy for as little as a few minutes a day can help you step away from your responsibilities and stress and reconnect with yourself. Treatment will help your loved one learn about their addiction and give them tools to manage it. But it doesn’t “cure” the addiction. It’s a condition that has to be managed long term. Recovery continues when your loved one leaves treatment and begins to navigate life without the use of drugs or alcohol. Their treatment program may help them plan for an aftercare program that could consist of individual and family behavioral therapy, support groups, 12-step meetings, and sober living. Allowing them to live with you if they are in a recovery program. Providing transportation to healthy activities such as going to work, therapy, meetings, and support groups. Discussing any red flags or signs of drug use. Assisting with childcare so they can focus on recovery. Celebrating milestones in their recovery through praise or other healthy incentives. However, relapse should not be taken as a signal for failure. Relapse could just be an indication that your loved one’s recovery plan needs to be strengthened or modified.10 They should speak with their sponsor, therapist, or doctor to see what modifications can be made to their treatment plan to reduce the risk in the future. They may need to complete several treatment programs before they achieve long-term sobriety. If your family member or friend has a problem with heroin, don’t wait. If left untreated, addiction can get progressively worse. Contact your doctor or an addiction professional to identify available treatment options. While recovery can be a challenging process, it is possible and the first step is getting professional help. National Institute on Drug Abuse. (2018). The science of drug use and addiction: The basics. S. Indian Health Service. (n.d.). 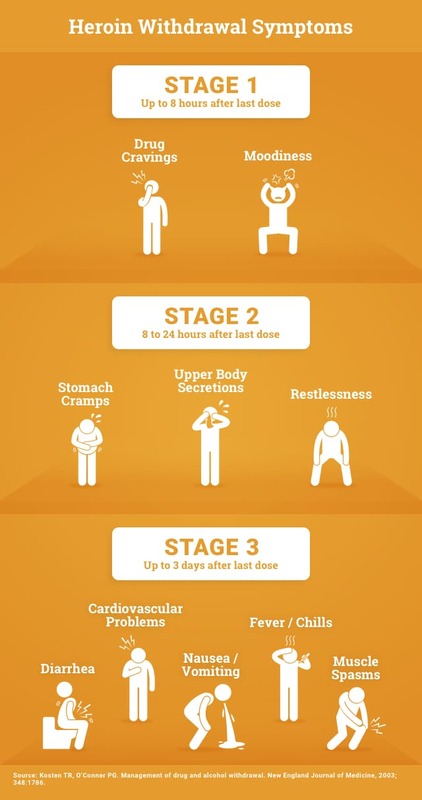 Warning signs of drug abuse and addiction. Partnership for Drug Free-Free Kids. (2014). Helping an adult family member or friend with a drug or alcohol addiction. (2010). Setting and Keeping Boundaries. Washington State Employee Assistance Program (EAP). (2016). Codependency and Addiction. National Institute on Drug Abuse. (2016). 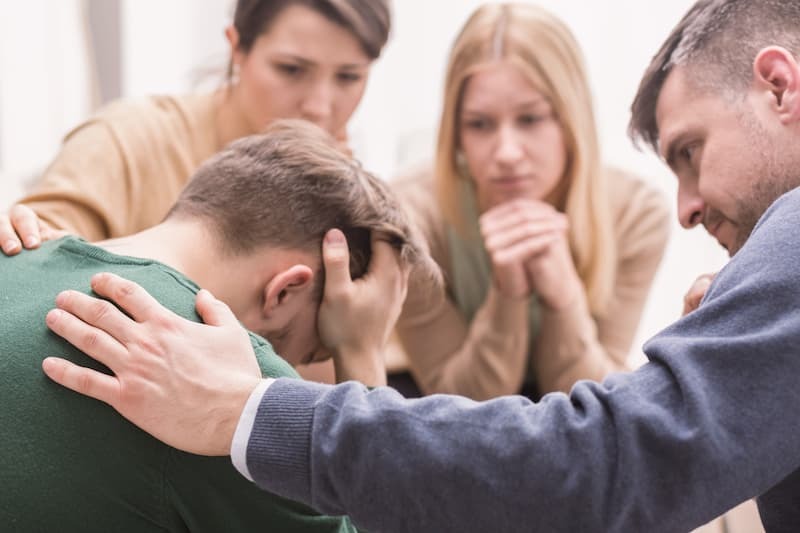 What to do if your adult friend or loved one has a problem with drugs. National Council on Alcoholism and Drug Dependence. (2015). Intervention- Tips and Guidelines. Linehan, M. (2015). DBT skills training manual. New York, NY: The Guilford Press. National Institute on Drug Abuse. (2018). Drugs, brains and behavior: The science of addiction.